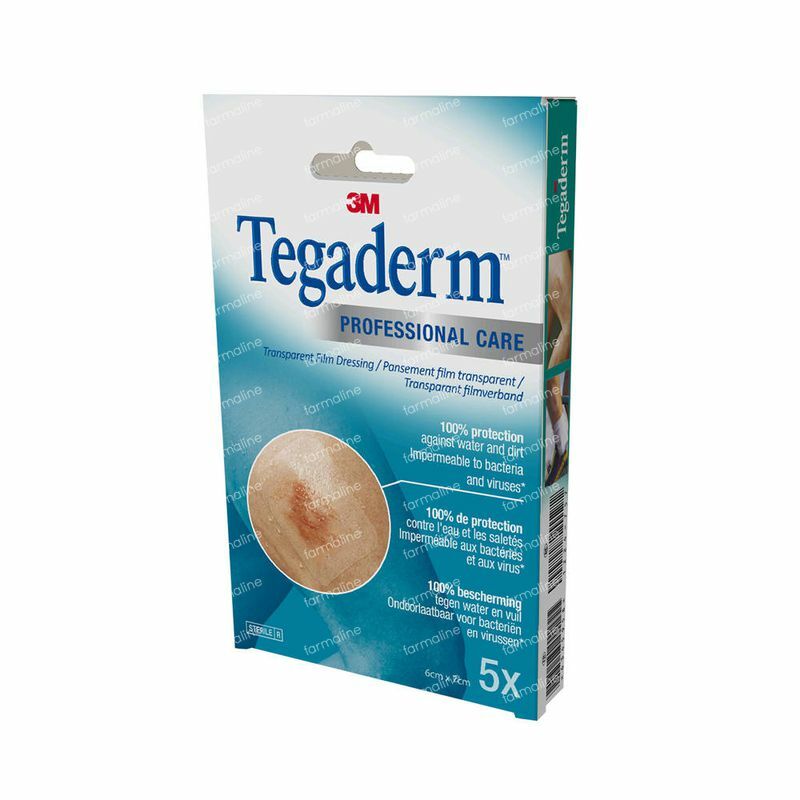 3M Tegaderm Film Transparent Sterile 6x7cm 1624W/P/5 5 pieces order online. 3M ™ Tegaderm ™ film dressing is quick and easy to apply thanks to the unique mounting frame and is extremely versatile. The mounting frame ensures that the film can be always applied correctly. No messy adhesive strips that stick together. The moisture-resistant film acts as a barrier for bacteria, moisture, and other contaminants. The rounded corners of the almost invisible link prevent loosening the film edges. Can remain attached up to seven days. 3M ™ Tegaderm ™ Film is a sterile semi-permeable film dressing with a unique applicator frame.